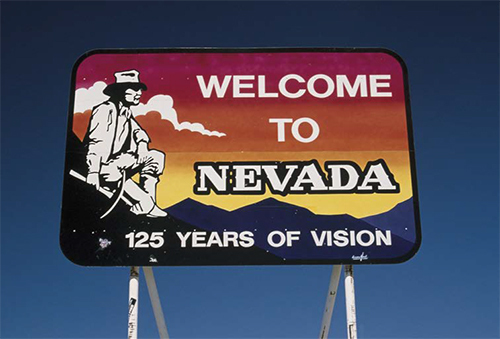 More than 56 million people visit Nevada each year. Las Vegas McCarran Airport is in the top 10 of U.S. airports. With more than 150,000 hotel rooms, Las Vegas is the ideal living laboratory for the study of hospitality. Nevada is officially known as the “Silver State” because of the importance of silver to its history and economy. It is also known as the “Battle Born State,” because it achieved statehood during the Civil War. Nevada is almost entirely within the Basin and Range Province, and is broken up by many north-south mountain ranges some of which have peaks above 13,000 feet. Nevada is also consistently on the “Top 10” most business-friendly states lists. Amazon, Apple, Tesla and now the Raiders do business here. The state has no corporate income tax, no personal income tax, no franchise tax on income, no inventory tax, no inheritance or gift tax, no unitary tax and no estate tax. Many of the most important aspects of Nevada’s economy lie below the surface. Nevada is the nation’s leading producer of gold, silver and mercury. Petroleum, diatomite and other minerals are also extracted from the state. Manufacturing is another key industry with companies producing gaming machines and products, aerospace equipment, lawn and garden irrigation devices, and seismic monitoring equipment. Warehousing and trucking are also significant Nevada industries. Much of Nevada, of which almost 80 percent is federally owned, is given over to military and related use. Nellis Air Force Base and the Nevada Test Site have been the scene of much nuclear and aircraft testing. Yucca Mountain is slated to be the primary depository for U.S. nuclear wastes. The workforce contains a large percentage of workers with advanced degrees, and there are many customized training programs designed for the needs of the state’s leading industries, such as the Train Employees Now program and Silver State Works. For businesses looking to relocate, expand or start fresh, finding property in a location that makes business sense can be a tall order. Affordable land is often limited to remote reaches of the country, far from interstates, ports or other vital infrastructure. 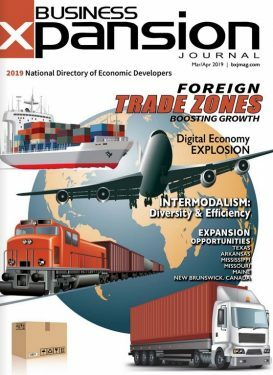 When these amenities are available, businesses frequently have to grapple with a seemingly insurmountable cacophony of taxes, restrictions, and red tape, giving even the most seasoned companies’ second thoughts about moving elsewhere. However, in the West, often home to pioneers, a place does exist where business and people thrive, where local government makes it easy for companies and their employees to get to work. In the desert of southern Nevada lies Henderson, or what has been deemed Wow Valley, a business oasis that is steadily becoming an economic force to reckon with. Located just 15 minutes from Las Vegas, Henderson forms the southern edge of the Las Vegas Valley, covering more than 100 square miles between Lake Las Vegas to the east and Interstate 15 to the west. According to the U.S. Census Bureau, roughly 42 percent of Henderson residents are between the ages of 25 and 54, and nearly 15 percent of new residents arrive to the area with polished professional, management or technical skills. When it comes to a balance be- tween age and experience of its local workforce, Henderson, Nevada, is hard to beat. And a workforce of approximately one million is within a 25-minute commuter shed of Henderson area business parks. Thanks to its bountiful and diverse avail- able properties, business incentives and accommodating local government, Henderson makes the transition to the Las Vegas Valley seamless for companies of all sizes and industries. When coupled with its proximity to an international airport, freeways, major ports, and markets, Henderson’s location allows companies to thrive. For more in- formation about why your business and family should call Henderson home, visit hendersonnow.com.